I have completed all the modules for the Business Relationship Management Professional course through ITSM Zone and I am now preparing to take the test later this week. For me, the benefit for the online course and testing has been the flexibility for me to do this work over the course of a few weeks with no impact to my day to day work. 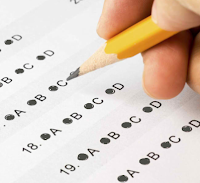 The only challenge for me, for as long as I can remember, is the test taking part of the test. Over the years in an effort to minimize the anxiety I have come up with a few tips which I will share with you. Seems like a no-brainer but in some cases overconfidence can be replaced by drawing blanks on test day. Many tests are set up to play off of this and will have a ‘second best’ answer that will seem correct enough but will still get you no points on the total for the day. Make sure that you give yourself plenty of time to study. Cramming might work for some and not for others so understand what works best for you. Personally I like to see things represented in a visual way. I find that this provides a link in my memory back to something that I learned in the course. In many cases there may not be anything visual provided so I will tend to draw up something as a doodle in the notes section or off to the side in the course work. 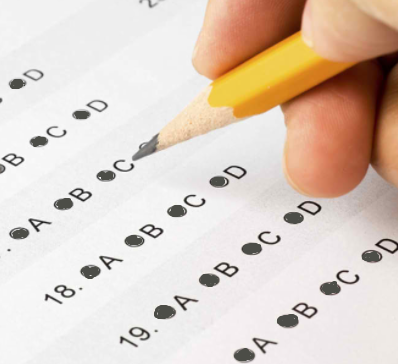 Doing one practice exam will give you a pretty good idea of what you can expect in a testing situation from the types of questions you may encounter to the time it will realistically take you to complete the exam itself. Before the test make sure that you we hydrated. Since humans are bags of mostly water, keeping yourself hydrated before the test will help your brain run at peak performance. Save having a few fingers of scotch for after you ace the test.